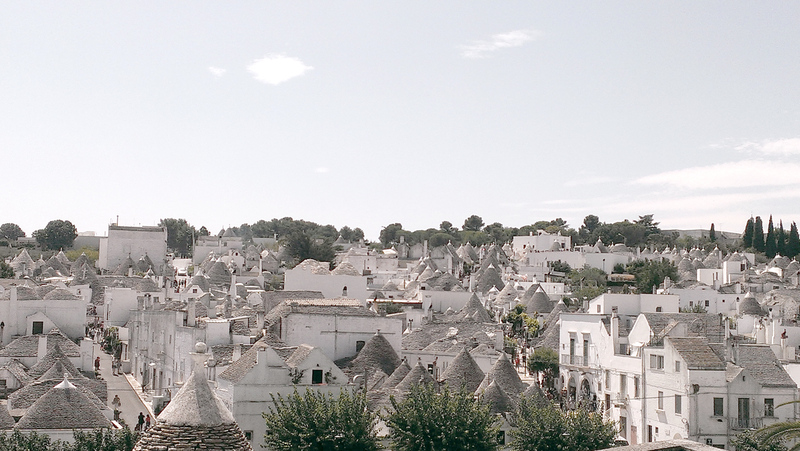 You see a number of small clusters of trulli studded throughout the countryside in the valley, but the best place to head to is the town of Alberobello. 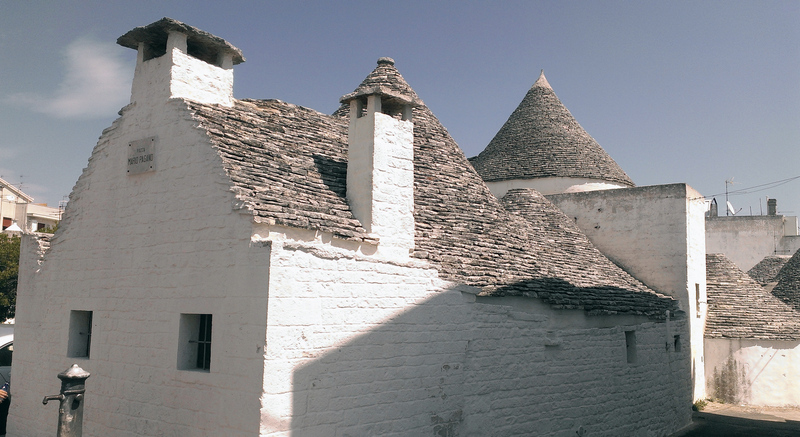 This UNESCO world heritage sight boasts a huge abundance of trullli. And as you wander around it is easy to see why the town has heritage status. The buildings have such a unique charm about them (especially the ones with traditional symbols painted on the roofs). 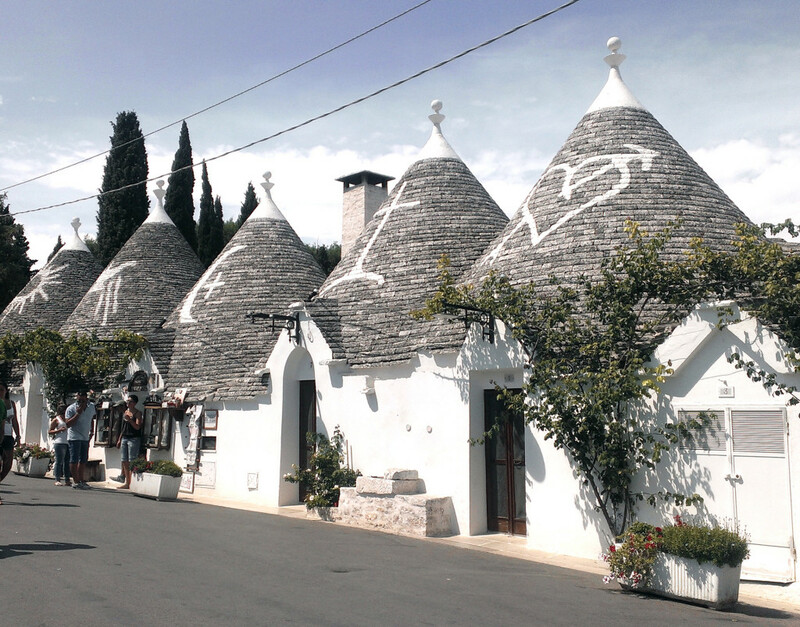 Many of the trulli now house gift shops and some have even been converted into guesthouses. Had we had more time, I would have loved to have stayed in one and to have had a bit more time to soak up the atmosphere of the town once the midday crowds receded. 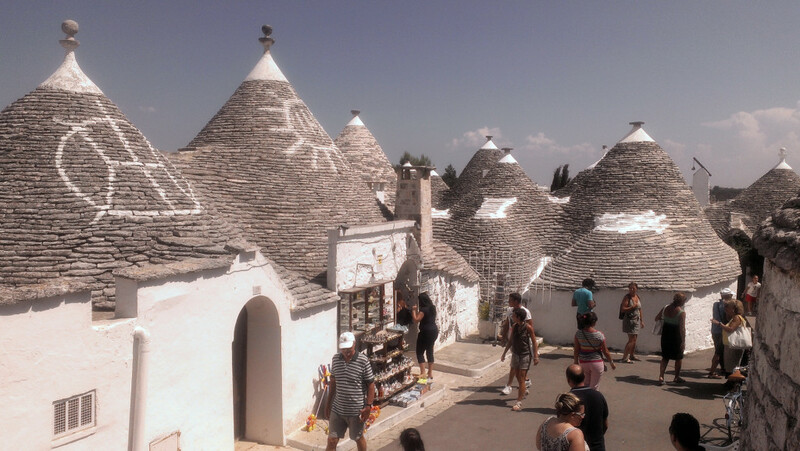 After a rather energetic walk up and down the hills of Alberobello in the midday sun we made one last stop off before heading to our final destination…a delicious lunch at Bina in Locorotondo. Puglia has some wonderful regional dishes and this restaurant served up a delicious selection in a very friendly and welcoming atmosphere. If you have yet to try taralli, make sure you do…I would even go so far as saying they are maybe worth flying to Puglia for. These wonderful small, circular crackers (for want of a better word) made from famous Puglian olive oil are always available in abundance as part of the bread basket, meaning I often found myself full before the main event even arrived. 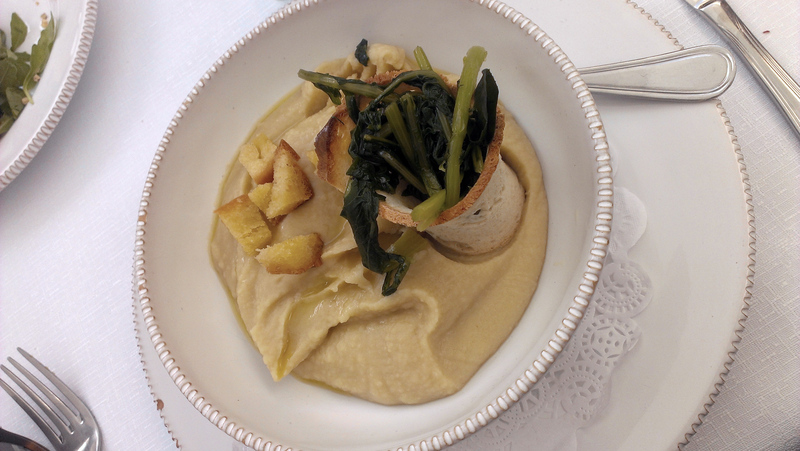 As I’m not a big cheese or ham fan, I went for a regional speciality…fava bean puree. Served in the traditional style (with slightly bitter greens and crisp bread) this thick, flavoursome dip was incredibly filling. Even though other options on the menu might initially look more exciting, this dish is definitely worth trying, especially if you want a taste of real rustic, traditional Apulinan cuisine. After a very satisfying meal we all bundled into the car to Gallipoli for the sunbathe, eat, drink, repeat part of our trip (check back on Friday for more details on this stunning coastal town). 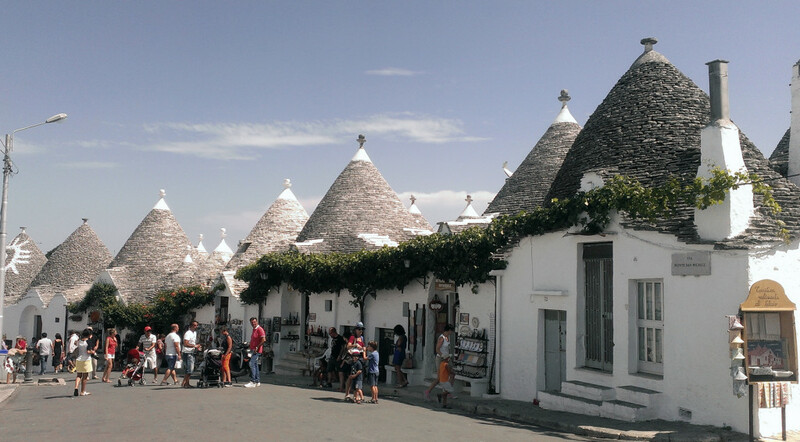 This entry was posted in explore and tagged Alberobello, culture, Italy, Puglia, sightseeing, Trulli, Trullo, unesco. Bookmark the permalink.